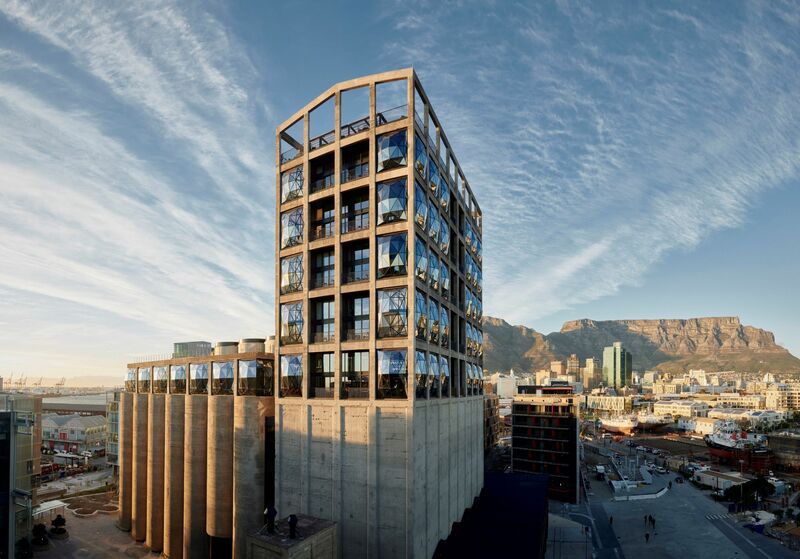 South Africa’s contemporary art museum, Zeitz MOCAA, has been named ‘Leading Culture Destination of the Year’ at the 2018 Leading Culture Destinations Awards. Dubbed as ‘The Oscars for Museums’, the awards shine a light on the world’s cultural hotspots, with cities and organisations honoured for effectively engaging in culture and tourism. Housed in a converted grain silo overlooking the Atlantic on the Victoria and Alfred Waterfront, Cape Town’s Zeitz MOCAA is the largest contemporary art museum in Africa. It was unanimously selected by the jury for its breath-taking design by Thomas Heatherwick, commitment to African contemporary art and outstanding local engagement with the V&A Waterfront community. Other winners this year include Fondation Carmignac, named ‘New Culture Destination of the Year – Europe’ due to its stunning museum located on Porquerolles Island in France, and Chateau La Coste in Provence, named ‘Art Hotel of the Year’ for its combination of fine wines with contemporary art from the likes of Tracey Emin and Ai Weiwei. Canada’s Fogo Island took home the accolade of ‘Best Cultural District’ for its status as a must-see for minimalist architecture enthusiasts, and The Museum of Contemporary Art in Toronto was awarded ‘Best New Culture Destination of the Year – North America’ due to its 55,000 sqft purpose-design space, which includes dedicated studio space for emerging artists. Japanese art collective teamLab, which recently opened the world’s first digital art museum in Tokyo’s Odaiba, was honoured for its impressive 10,000sqm space, including 50 technicolour digital installations powered by 520 computers and 470 projectors, designed to dissolve the boundary between visitor and artwork through interaction. The ‘Climate Smart Award’ went to the Science Express in India, a travelling exhibition dedicated to educating youngsters on the challenges and complex make-up of climate change. Over the past year, this initiative has reached over two million visitors and crossed 20 states. Applauding top cultural travel influencers, The Art Weekenders were presented with the ‘Cultural Nomad of the Year’ award. Set up five years ago by Netherlands-based couple Pal and Lydian, The Art Weekenders combine their passion for art, photography, design and architecture with travel. The little-known Garden Café at The Garden Museum by Lambeth Palace in London was a surprise winner in the Restaurant category, fighting off stiff competition from around the world to take home the accolade of being the best place to dine in a cultural space. The Garden Café was London’s only winner this year, with none of the city’s cultural institutions making the shortlist for their exhibitions, design or collections. With recent news highlighting that London’s top seven institutions saw their visitor figures fall by over a million people in just four years, these are challenging times for the capital. “We live in an incredibly exciting time of cultural awakening across the globe, with an increasing number of cultural spaces opening in new and sometimes unexpected locations,” says Florian Wupperfeld, co-founder of Leading Culture Destinations.